Click here to try it for free! In a change of format, we have handed the editing reins over to the team at the Scottish National Residential Pain Management Programme, who will be giving us an insight into their work and how it differs from traditional pain management programmes. Also in Pain Matters 71, our own Paul Evans, producer of Airing Pain, discusses Pain Concern's Navigator Tool, an online tool which attempts to help doctors and patients to 'sing off the same hymn sheet'. 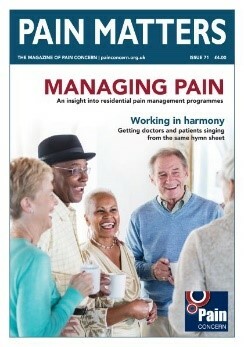 Pain Concern are offering a free trial offer to Pain Matters of 4 issues (normal price £16.00) to all new readers. If you would like to sign up for a free subscription to Pain Matters, please contact order@painconcern.org.uk, or phone us on 0300 102 0162. We plan on continuing the concept of bringing more guest editors on board in forthcoming issues of Pain Matters, to cover all aspects of chronic pain from pain management teams around the country. Why should I read Pain Matters? keeping up to date with news about pain services and research. In Pain Matters We explore the self-management techniques that can help you to get your life back on track: from mindfulness to TENS machines. We share the inspiring personal stories of people living with chronic pain conditions who have found practical ways of coping. We look in-depth at the issues raised on our Airing Pain radio show in interviews with people living in pain and top experts from around the world. We bring you the latest news on research into pain treatments and report from the frontline of the campaign for better pain management. 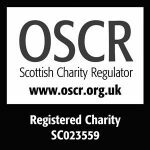 We review books and other resources on these topics and our ‘In your own words’ page provides space for your views and comments. Pain Matters comes out quarterly. Price for a four-issue print subscription is £16 without membership, £17 with membership. Click on the following link to subscribe to the paper edition.